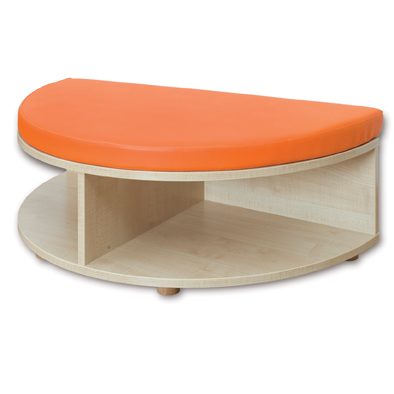 This vibrant Reading Nook Rounded End Storage and Seat Unit is a great little addition to any classroom. Used perfectly with other furniture in the range, the end storage seat is perfect for storing toys, books etc. whilst also providing a comfortable seating area for children. Brightening up the room with a pop of colour, the unit can be moved around to suit your space or specific classroom needs. Storage shelves fit Gratnell F2 trays and smaller.